By default if you installing LXDE on Archlinux, openBox is installed by default as Window Manager on LXDE. 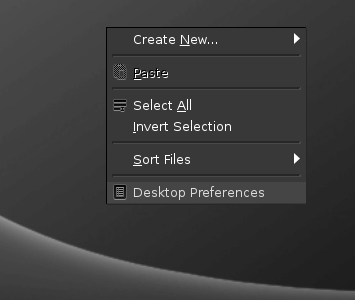 On desktop you can also switch to openbox style with right click to openbox menu. The difference, when you at openbox style you can directly create items/icons/shortcut on Desktop. Because when you right click on the desktop the openbox menu will appear. 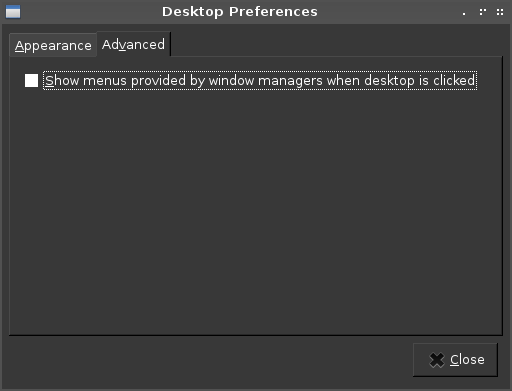 Ok to change it, Right Click on Desktop then choose Desktop Preferences. Now how to turn it back, click on Startmenu, then Preferences, then Choose Desktop Preferences. Then uncheck box option on advanced tab. Then try right click again on desktop. 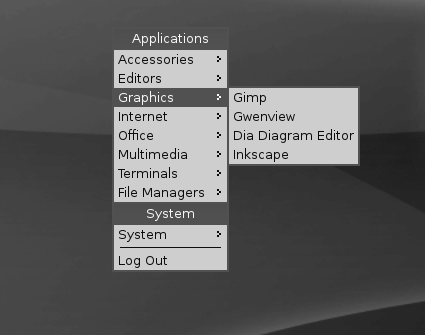 Now your right click menu on LXDE desktop is normal now. This is not only applied for archlinux, but for any linux distribution with LXDE, i have some distribution that have no desktop preferences on Start Menu, so the alternative way you can see the posts above. Ok that's & Enjoy Archlinux.